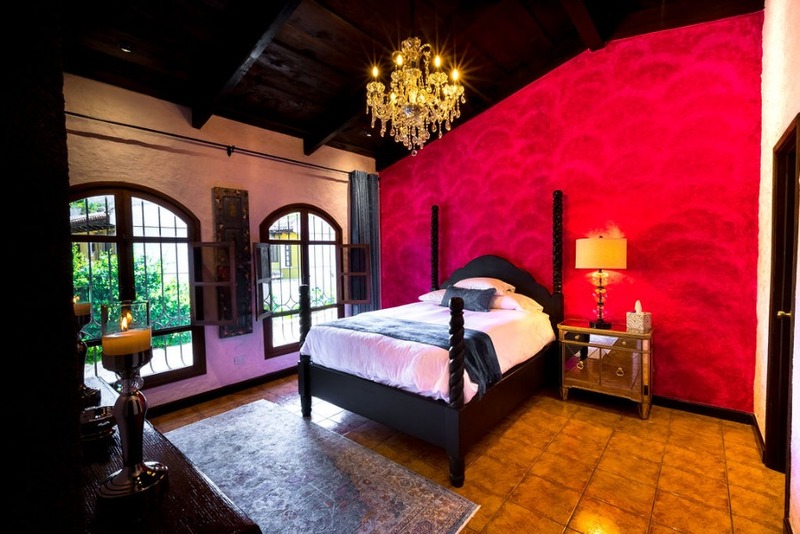 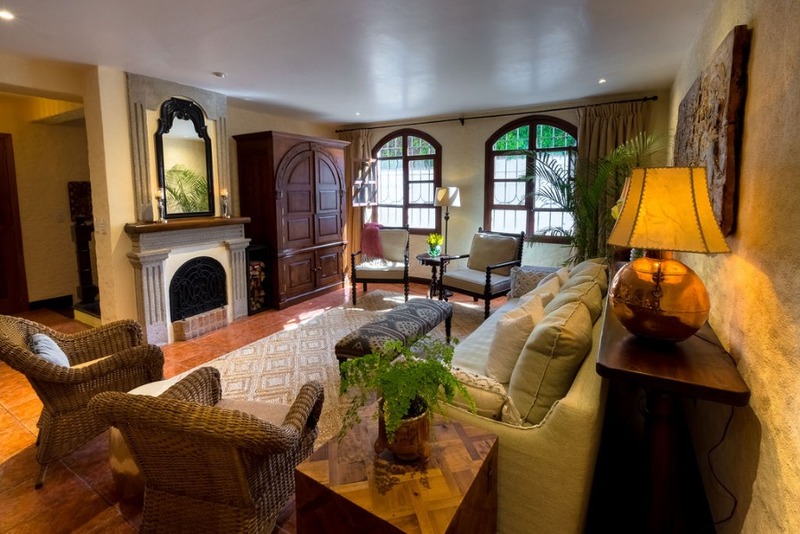 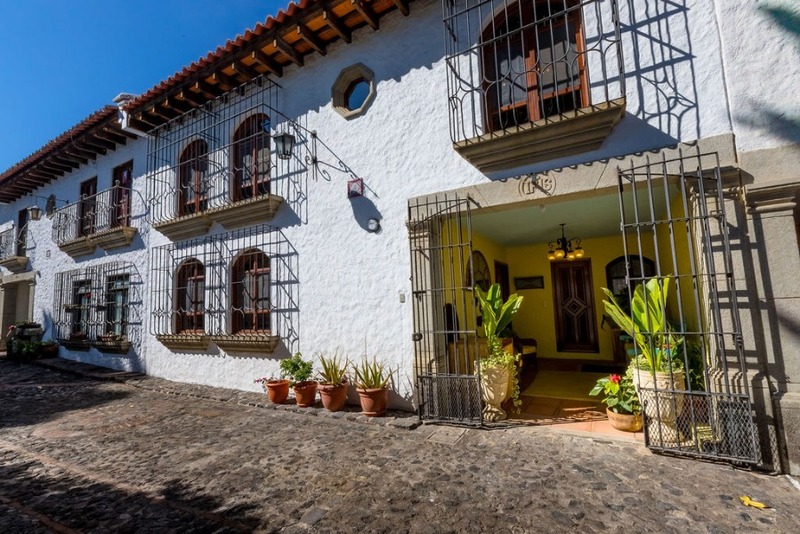 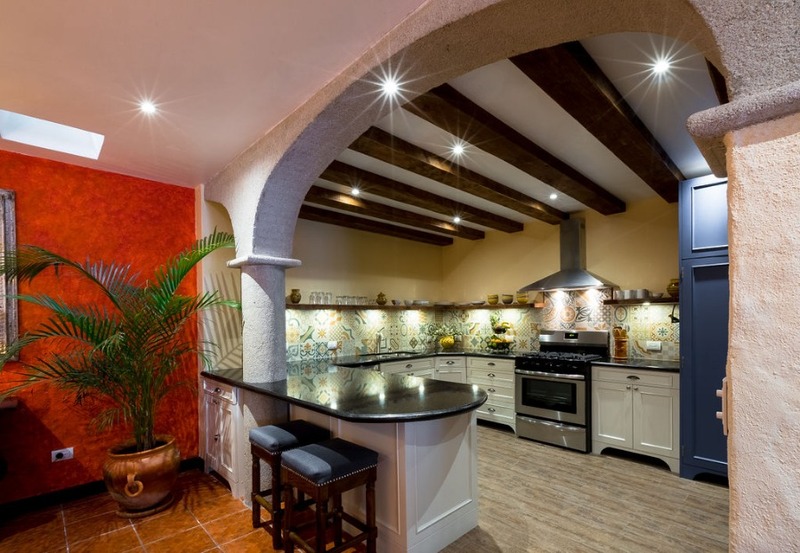 This is a gorgeous, private house in a tranquil corner of the historic center of Antigua, just 7 blocks from Central Park in a safe, gated condo community. 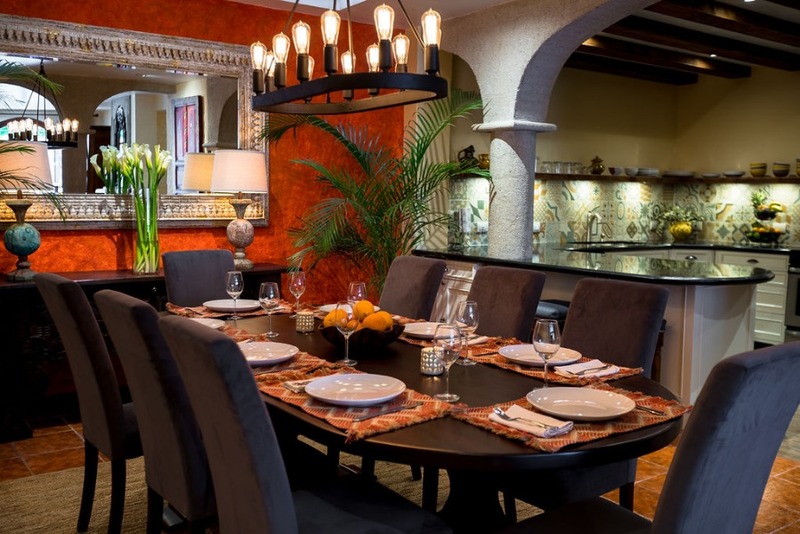 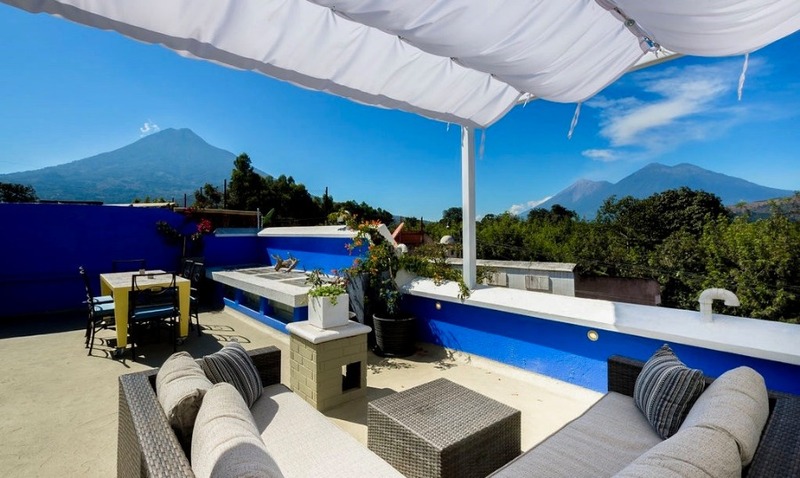 The stunning 4-bedroom, three-story townhome was recently renovated top to bottom to tastefully blend high-quality updates with Guatemalan design and handicrafts. 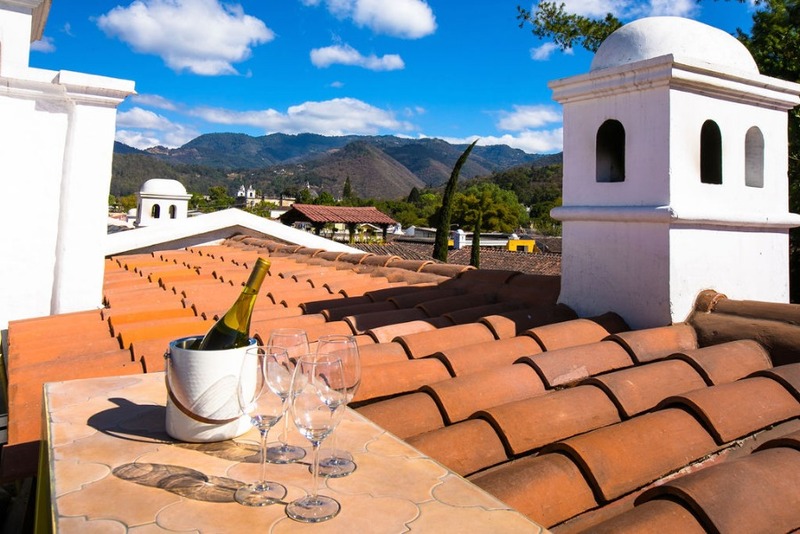 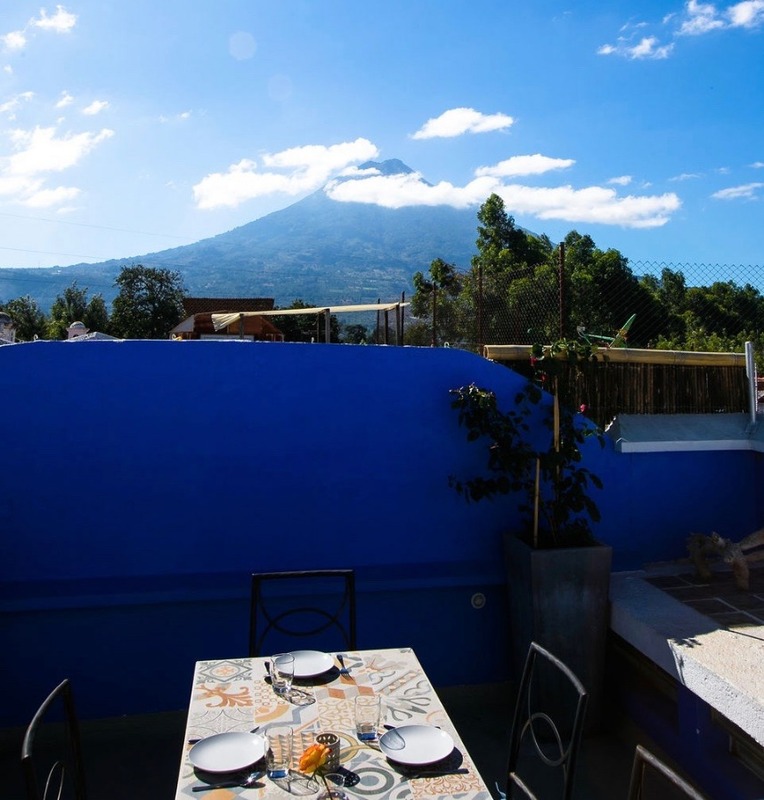 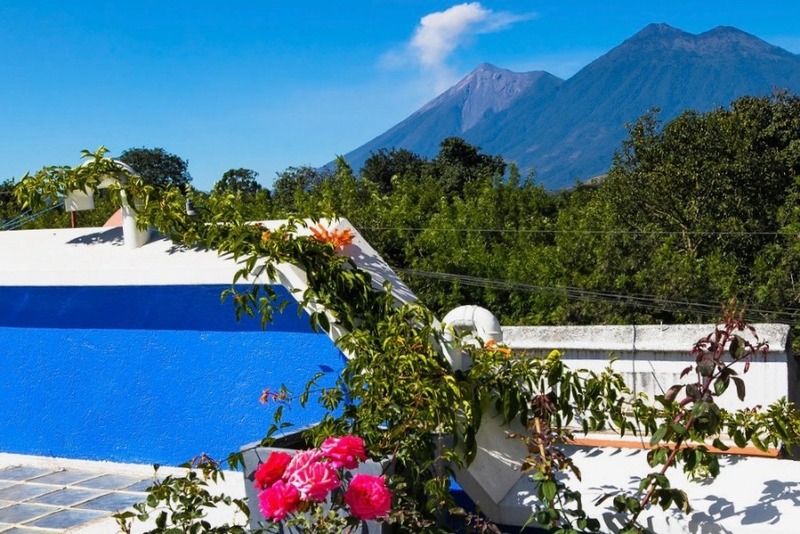 Known as Casa Del Cielo (House of the Sky), the home’s key feature is the expansive rooftop with jaw-dropping views of 3 volcanoes and the peaceful greenery of a coffee farm. 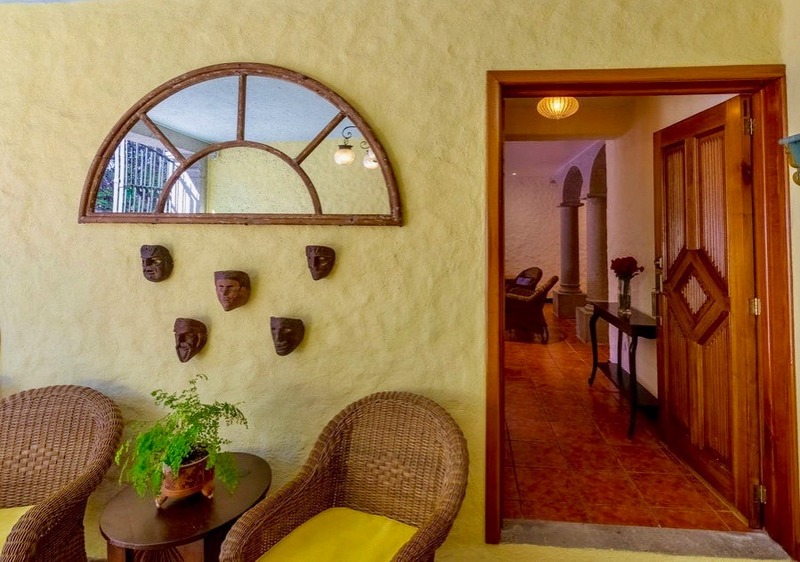 The house is on 3 levels: On the first level, you find a shady patio, living room and smart TV, dining room (seats 8), fully equipped kitchen, breakfast bar, washer/dryer, powder room, and a bedroom with single bed, private bath, and separate entrance. 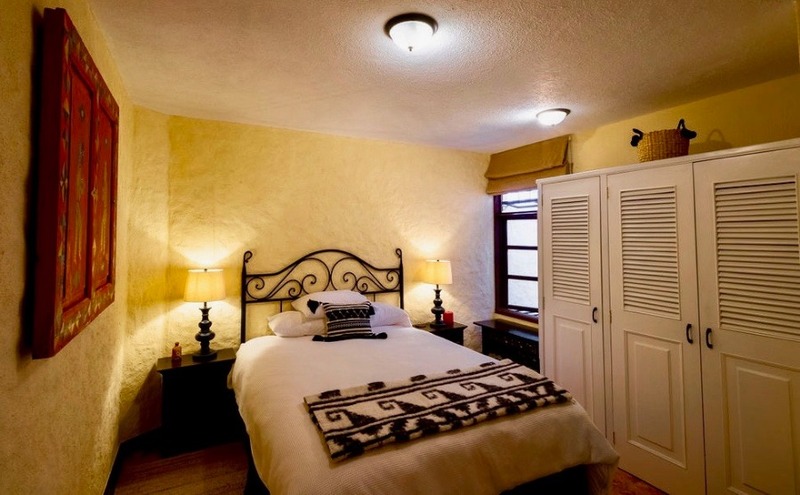 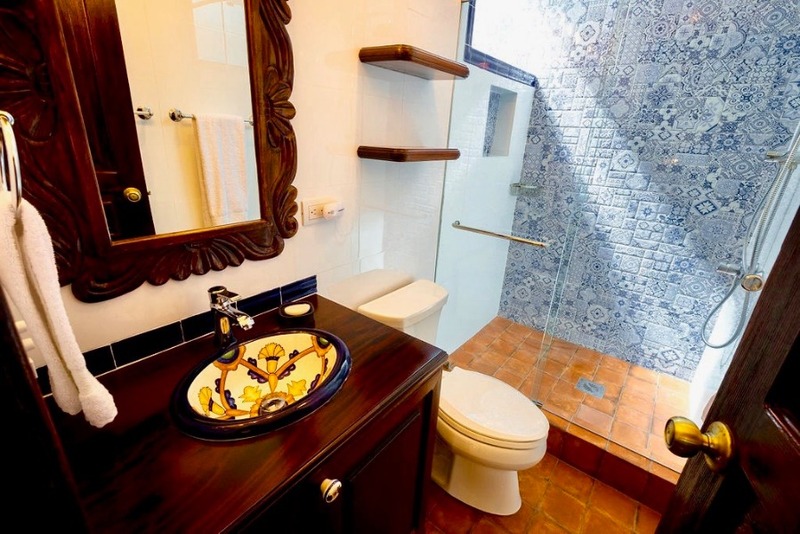 On the 2nd level is a den, the master suite (with rain shower and large soaking tub), the 2nd bedroom with a double bed, a 3rd bedroom that can be arranged either with a King bed or 2 twin beds and a shared bathroom. 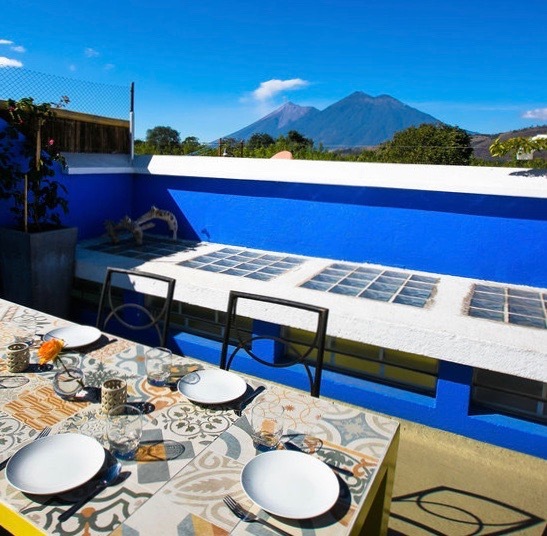 On the 3rd level is the terrace with incredible views and rooftop garden with a dining table (seats 6), bar, and comfortable sofas. 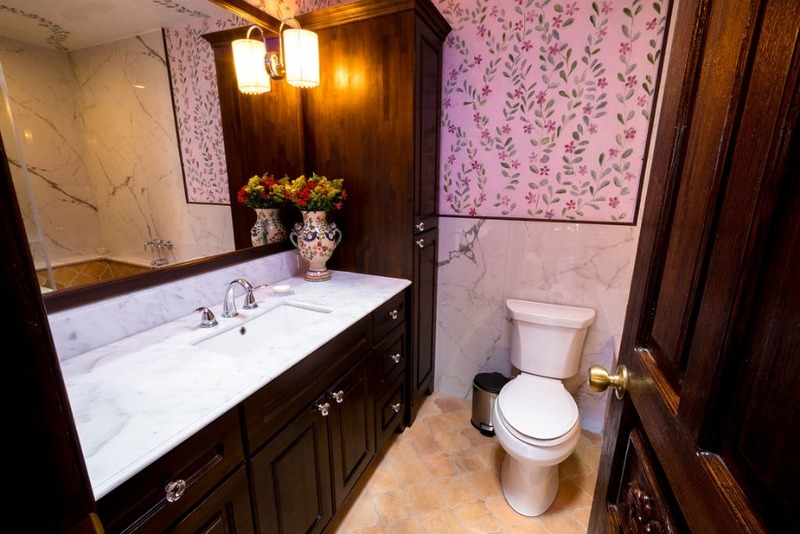 Every detail of this stunning house has been provided. 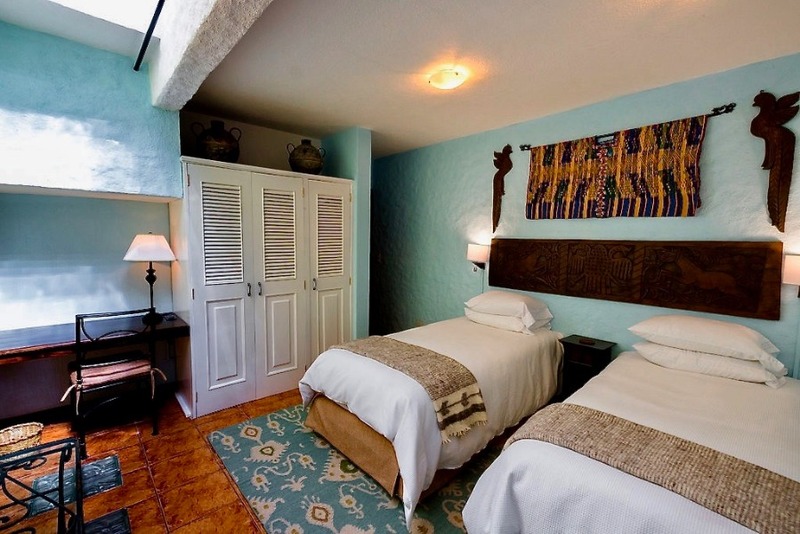 Each bedroom provides personal privacy and ample storage space.